Search engine optimization is among the most dynamic aspects in digital marketing. The only thing constant about SEO is, in fact, change. Each year, Google releases an average of 500 to 600 algorithm changes to continually improve the quality of their search engine results. 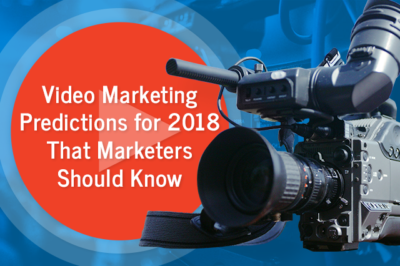 As we enter the new year, marketers should brace themselves for another year of exciting changes awaiting SEO. As the number of mobile device users grow year by year, so does the usage of digital assistants like Siri, Cortana, and Alexa. Digital assistants are presenting a growing trend that will remarkably change the way search queries are done in the future. In 2018, it’s predicted that more people will be using voice search from their mobile devices to search for quick and relevant answers. With the rise of this trend, it’s recommended to focus on long-tail keywords and natural language that closely matches how users are most likely to ask in voice searches. With more users using voice search, users are predicted to be drawn more to click on Google’s featured snippet rather than the first search result this 2018 and beyond. While ranking on the first page of SERPs remains to be the main goal of SEO, more and more marketers are shifting their focus to ranking on “position 0” and on Google’s quick answer box. Content in the form of lists, graphs, and tables tend to be favored more by Google in the featured snippets or quick answer box, as well as those in Q&A formats. The key here is to consider the search intent of users and to structure your content in a way that closely answers a commonly asked question. Late in 2017, we’ve seen a transformation in Google’s search engine results page. Several SERP features—such as featured snippets, Knowledge panels, local packs, quick answer boxes, image results, and more—are dominating the results page, stealing the attention of users and also evidently affecting the number of organic traffic. This new trend will become a challenge for marketers, as other offsite elements need to be considered when monitoring your SEO performance. Luckily, tools like Rank Tracker can help you track 15 Google SERP features and organic results, helping you gain more insight into your SEO efforts. Backlinks have been crucial to SEO for many years. However, as search engine robots continually evolve, link building changes as well. Search engines now have the capability to associate mentions of brands, people, and organizations without needing to link back to their corresponding websites. While backlinks still matter and will continue to carry weight in SEO rankings, “linkless” link building is seen to take on a bigger role next year. Marketers need to focus more on relationship building with brands, influencers, and other organizations to develop powerful partnerships that will be mutually beneficial for both parties in the long run. There’s a lot in store for SEO this 2018. A number of trends and algorithm updates are on the horizon that could significantly change the way SEO is practiced. Marketers should keep track with the ever-changing rules of SEO to stay relevant and updated. If you’re interested to know more about SEO and how you could make your strategy better for 2018, Ilfusion can help you. Just give us a call at 888-420-5115, or send us an email at creative@ilfusion.com.